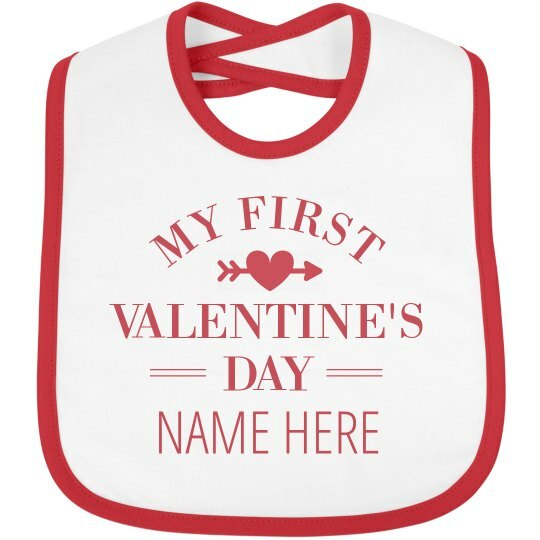 Make your baby's first Valentine's Day more memorable by customizing this bib! Tag him/her along on your Valentine's date and have him/her wear this super cute bib that says "My First Valentine's Day". customize by adding baby's name and add some arts to make it look more cute and adorable! Happy first Valentine's Day, baby!